Most schools and districts spend lot of time and effort trying to get their teachers up to speed on technology and its use/place in the classroom. And honestly that is where a majority of effort should be spent; working with those on the frontlines of instruction. However, rarely, if ever, is much time spent with administrators, working with them on ways they use technology to enhance what they are doing. What can administrators do? I have put together what I am calling The Administrators Technology Toolkit. (I really should find something more flashy or fun. If you have ideas leave me a comment.) There are some simple, easy to use tools that Administrators can be using right now to, just like teachers, integrate technology into what they do daily. 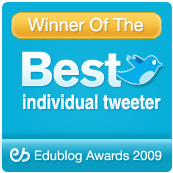 Anyone who knows me, knows that I am a big advocate for Educators to use Twitter for Professional Development and growth. The job of an Administrator is a tough one. Twitter can serve as a place to connect with other professionals and see whats working in other buildings or districts that might work in yours. There are tons of Asst. Principals, Principals, Superintendents and even a few School Board members that I interact with on a daily basis. Check out this site for tons of resources on getting started and find a several lists of Twittering Administrators and other Education Professionals created by a great friends of mine, Eric Sheninger (@NMHS_Principal) and Shelly Terrell (@shellterrell). Its time to go paperless. Flash Drives and External Hard Drivers are great inventions. I carry at least two of them with me where ever I go. However, neither of them have any documents or presentations on them. I exclusively use Google Docs. Everything I need is there. I honestly don't remember the last time I opened a Microsoft Office product. Even if I get an attachment I open it in Google Docs because I know I will have access to that document not matter where I am. No need to hunt down a cable or USB port for my drives. I access the Internet and have all my documents. Check out this site for some great information on Google Docs. Be sure to watch the "Google Docs In Plain English" and "Principals Talk About Google Docs" videos. I crave resources. Its part of my job. However, the resources I collect do no good if I don't share them with anyone. Social Bookmarking services like Diigo and Delicious allow me to share websites, lessons, videos and more with anyone who wants them. Both these services allow you to tag your bookmarks making it even more easy to find the resources you need. Administrators can use Social Bookmarking in one of two ways. If they are like my good friend Eric, they are constantly on the hunt for teaching resources for their teachers. So Eric spends time searching and sharing and making what he finds available through his Delicious Account. The other way administrators can use them is to just search. Sometimes these Social Bookmarking services can be more efficient at finding what you need than a regular Google Search. Also, you can search your friends' bookmarks, further enriching the experience. There are a couple of "must-see" tutorials that I have collected. The first is another In Plain English Video, this time on Social Bookmarking. Either Delicious or Diigo are great for Administrators. Both have advantages and disadvantages. Here is a really good Delicious Tutorial and one for Diigo. I am willing to bet that there are certain websites you check everyday. Perhaps you even have a blog or two that you read. Instead of wasting time visiting each and every website in the hopes there is a new article or post you can use an RSS reader. What is RSS you ask? Really Simple Service. Basically it is a web address that you insert into a reader so all you need to do is visit one site (your reader) and see whats new on all your favorite sites. One of the best readers out there is Google Reader. Its easy to navigate and add feeds. There are also lists of feeds that you can add with one click like news, technology and more. A new feature is Suggestions. Once you have subscribed to a few feeds, Google Reader will offer some suggested new feeds for you to check out. 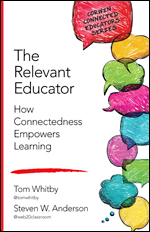 As I mentioned before it is important for all educators, including Administrators, to create networks of other professionals to connect with. I previously mentioned Twitter. Twitter is great for real-time discussion and resource sharing. However why not take the idea of social networking one step further and enrich the experience with video and file sharing, discussion forums, events and specialty groups. Ning does all that! Ning bills itself as the social network you create. Nings are very popular among educators because there isn't lot of the "junk" you will find on other social networking sites. Nings are great because you can really customize the content and you can create private spaces for your school or district. Five tools. That's it, just five to get started with. Of course that's not all you will need to become a Tech Savvy Administrator but its a good start. What do you think? What are some other tools or applications you would recommend for Administrators? Maybe you are already a Tech-Savvy Administrator. What tools do you currently use or what suggestions can you offer? 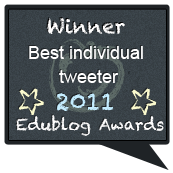 Cross Posted on The Educators Royal Treatment and The Tech & Learning Blog. Image From Flickr CC Search. View the original here. Wow, what an excellent blog post this is! I am inspired that there are Administrators out there attempting to connect their teachers to technology tools that will enhance their classroom and ultimately their students' achievement. Keep up the great work, I look forward to reading more (and sharing this blog with my own admin team). These are helpful posts. Most are software related, are there any hardware recommendations? This is wonderful! I'm sharing it with my admins today! As usual, thanks for making me think! 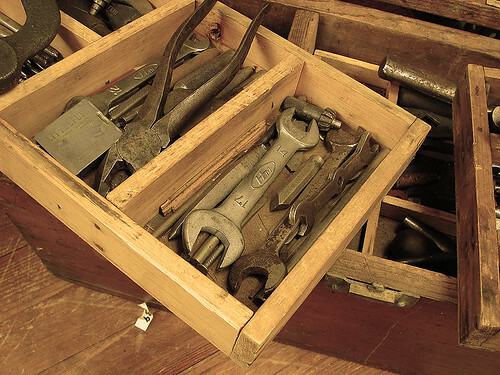 I will make sure that these tools are available in my toolkit! I am trying to share these tools with my fellow administrators in MA as well. What a great list! I'd also add Evernote (www.evernote.com) to the list. What a great tool - you can take notes, clip content from websites, upload pictures, and search it all. It has a desktop version and web version that are always in sync, plus you can access it from a smart phone. What The Heck Is Google Wave?